Shake Shack has appointed its first chief marketing officer, the company announced Monday.Jay Livingston comes to the fast-growing burger chain after serving as CMO for Bark, the parent company of dog-focused subscription box service BarkBox. Livingston also held executive marketing positions for two decades with Bank of America.Shake Shack’s marketing department had previously been helmed by Edwin Bragg, vice president of marketing and communications, who left the fast-casual chain in June for a family move.Refining Shake Shack’s touchscreen kiosks will be one of Livingston’s immediate goals, he told Adweek magazine. ATLANTA, Feb. 11, 2019 /PRNewswire/ — As Church’s Chicken® continues to refine its corporate leadership structure, the company is announcing the promotion of two key team members to officer level status. Karen Brandenburg Viera will now serve as Senior Vice President of Human Resources and Internal Communications and Andra Terrell will serve as Vice President of Deputy General Counsel. TAMPA, Fla.–(BUSINESS WIRE)–Bloomin’ Brands, Inc. (Nasdaq:BLMN) today announced the appointment of Jeff Carcara as President of Bonefish Grill. In this role, Carcara will be responsible for leading the operations and development for Bonefish Grill restaurants across the United States. He most recently served as the CEO of Del Frisco’s Emerging Brands. Bloomin’ Brands, Inc. is one of the largest casual dining restaurant companies in the world with a portfolio of leading, differentiated restaurant concepts. The Company has four founder-inspired brands: Outback Steakhouse, Carrabba’s Italian Grill, Bonefish Grill and Fleming’s Prime Steakhouse and Wine Bar. The Company owns and operates approximately 1,500 restaurants in 48 states, Puerto Rico, Guam and 22 countries, some of which are franchise locations. For more information, please visit bloominbrands.com. Pittsburgh, PA (RestaurantNews.com) Primanti Bros. Restaurant and Bar, the 86-year-old Pittsburgh-based restaurant concept, today announces Adam Golomb as the company’s first Chief Marketing Officer. Golomb will oversee Primanti Bros.’ marketing strategy, menu development, and concept strategy, and will report to David Head, Primanti Bros. CEO. Dawn Sweeney, president and CEO of the National Restaurant Association and the Educational Foundation, said the new officers would provide the critical leadership necessary to ensure the restaurant industry’s continued growth and success. The National Restaurant Association and its Educational Foundation unveiled their board officers and directors for 2019. Joe Essa, president of Wolfgang Puck Worldwide Inc., will serve as chair of the National Restaurant Association, and Geoff Hill, managing director of Roark Capital Group, will serve as chair of the National Restaurant Association Educational Foundation. Foundation officers supporting Hill are Vice Chair Stan Harris, president and CEO of the Louisiana Restaurant Association, and treasurer Susan Adzick, senior vice president of sales and strategic relationships at McLane Foodservice. Each of the officers will serve a year term. John Teza, director of NRD Capital Management, Atlanta. John Cywinski, president of Applebee’s Grill & Bar, Glendale, Calif.
Derek Small, director of culinary training for Troop Café, Milwaukee. Joel Neuman, Vice President of Legal and Industry Affairs, Coca-Cola Foodservice, Atlanta. The board is comprised of about 70 voting directors, who represent every facet of the U.S. restaurant and foodservice industry. They provide strategic guidance to the Association as it seeks to advance and protect the interests of the restaurant and foodservice industry. 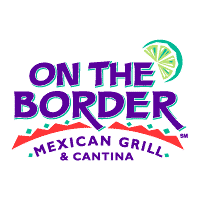 Dallas, TX (RestaurantNews.com) On The Border Mexican Grill & Cantina® has announced a new Vice President of Culinary, Amy M. Smith, a proven industry leader with a strong track record for executing new menu strategies based on consumer insights, solid financials, and operational excellence. Smith will lead the culinary team and focus on innovation for the OTB menu to drive new guests. Brinker International, Inc. is one of the world’s leading casual dining restaurant companies. Founded in 1975 and based in Dallas, Texas, as of Dec. 26, 2018, Brinker owned, operated, or franchised 1,685 restaurants under the names Chili’s®Grill & Bar (1,632 restaurants) and Maggiano’s Little Italy® (53 restaurants). Pasadena, CA (RestaurantNews.com) Wetzel’s Pretzels, the innovator in the fresh-baked pretzel category, today announced that it has promoted Jennifer Schuler to CEO. Schuler, who has served as the company’s President since 2017, and previously served as Chief Marketing Officer when she joined the company in 2014, will assume global responsibility for the brand, spearheading the continued growth of Wetzel’s Pretzels. Huntington Beach, CA (RestaurantNews.com) STACKED: Food Well Built, the innovative casual dining concept delivering experiential dining to allow guests to fully customize their meals and their overall dining experience, has announced that Craig Carlyle, who served in top leadership roles at Yard House Restaurants, has joined the company as its first COO. Carlyle is the latest addition to a loaded management team at STACKED, now majority-owned by two private equity firms, North Carolina-based Hargett Hunter and TriSpan of New York and London, which acquired their stakes in September 2018. Nation’s Restaurant News “Hot Concept” award winner, STACKED is building on the loyal following it has established in Southern California to expand to new markets outside the Golden State. Founded in 2011, and now with five restaurants in Southern California, STACKED pioneered user-friendly, tabletop technology that allows guests to create their own personal dining experience from ordering to paying their bill. With an inventive and delicious menu of American favorites, including burgers, salads, sandwiches, mac and cheese, shakes, desserts, and much more, guests choose specific ingredients on tabletop iPads to build literally millions of combinations of menu items, and only pay for the ingredients they choose. Hargett Hunter is a unique private equity firm that invests exclusively in emerging and established restaurant chains generating a minimum of $10 million in annual sales. In addition to capital, Hargett Hunter offers industry-leading resources in support of the growth plans commonly executed by emerging brands with less than 100 units. By focusing exclusively US-based restaurant chains, Hargett Hunter offers significant hospitality industry expertise and is the preferred partner for investors looking for exposure to the restaurant industry and operators looking for a partner in growing their brands. Hargett Hunter is headquartered in Raleigh, NC. For more information, please visit www.hargetthunter.com. TriSpan is an independent and management-controlled private equity firm established in 2015 with offices in New York and London, and backed by leading family groups across the US, Europe and the Middle East. Rising Stars focuses on growth investment in the global restaurant sector, and the investment in Stacked is its fourth investment to-date. For more information, please visit www.trispanllp.com. STACKED: Food Well Built is a full-service restaurant serving premium-quality, inventive and flavorful American favorites, where innovative and user-friendly technology allows guests to fully customize a diverse and delicious menu of appetizers, burgers, pizzas, salads, sandwiches, mac ‘n’ cheese, shakes and desserts. Guests build their meals on tabletop tablets choosing from dozens of fresh ingredients and flavorful house-made sauces. The pioneering technology also lets guests control when they order and pay, giving the STACKED service team more time to deliver a superior level of hospitality. Each STACKED also offers a full-bar experience, replete with multiple, flat screen TVs, and stocked with rotating craft beers, premium wine selections, and top shelf liquor for inventive cocktails. STACKED: Food Well Built was founded in 2011 by the former co-CEO’s of BJ’s Restaurants, Paul Motenko and Jerry Hennessy, who developed that brand into a national chain. STACKED has restaurants in California, including Torrance, Cerritos, Thousand Oaks, San Diego and Huntington Beach, and today with the support of its private equity partners, Hargett Hunter and TriSpan, will grow into new and existing markets beginning in 2019. For more information about STACKED or employment opportunities, visit stacked.com, facebook.com/stackedrestaurants, twitter.com/foodwellbuilt, or instagram.com/foodwellbuilt. Casual and fine-dining veteran Bill Freeman has been hired as CEO of the Shula’s Restaurants group in what the company describes as a deepening of management in anticipation of an expansion drive. The personnel changes include the appointment of Shardul Kiri as chief brand and marketing officer for the 29-restaurant operation. Kiri was previously VP of marketing, sales and brand development for Mina Group, Michael Mina’s fine-dining operation in San Francisco. Freeman was CEO of Mina’s collection before assuming the post at Shula’s.Now overseeing menu development for Shula’s is new Corporate Culinary Director Demetrio Zavala, a New York City chef and associate of marquee names such as Gordon Ramsay, Daniel Boulud, Eric Ripert and Charlie Palmer. He has also participated in several televised culinary competitions on the hit program “Chopped.”In addition, Gordon Gilbert, a former manager of several branches of the Nobu high-end Asian concept, has been named Shula’s director of operations.Shula’s said the appointments will rejuvenate the 30-year-old company and ease it into an expansion mode. The operator’s best-known brand is the 30-year-old Shula’s Steak House concept, founded by legendary Miami Dolphins coach Don Shula.Freeman succeeds Shula’s wife, Mary Anne Shula, as CEO. She remains chairman. The moves come the same day the chicken-and-biscuit chain’s acquisition was finalized. Former McDonald’s executive Jose Armario was named CEO of Bojangles’ Famous Chicken ‘n Biscuits Monday, the same day the chain’s go-private acquisition by two New York City-based investment firms was finalized.Joining Armario in the C-suite is Brian Unger, Bojangles’ new chief operating officer. Unger, who spent 20 years in executive positions with McDonald’s, also served as COO for Einstein Noah Restaurants Group Inc. and president and COO of Long John Silver’s.Bojangles’ was acquired by Durational Capital Management and The Jordan Company in a deal originally announced in November that will pay stockholders $16.10 per share. The Charlotte, N.C.-based chain operates 759 units, of which 440 are franchised.Former CEO Clifton Rutledge resigned suddenly early last year, and Randy Kibler—who had previously served as the company’s president, CEO and director—took over as interim head.The quick-service chain weathered recent financial difficulties, closing a dozen units late last year and making plans to refranchise more than two dozen others. Louisville, KY, January 28, 2019 – Yum! Brands, Inc. (NYSE: YUM) today announced the promotion of David Gibbs, 55, to President and Chief Operating Officer, reporting to Chief Executive Officer Greg Creed. Gibbs, a 29-year veteran of the Company, has served as President and Chief Financial Officer for the last two years. In his expanded role as President and COO, Gibbs will assume operating leadership of global KFC Division as well as the U.S. and international businesses of Pizza Hut and Taco Bell, with the respective brand leaders reporting to him. Gibbs will retain his current Yum! Brands CFO role, title and responsibilities overseeing corporate strategy, finance, supply chain and information technology, while the Company conducts a search to identify a successor CFO.“I’m happy to announce our promotion of David Gibbs to President and Chief Operating Officer. David is an extraordinarily talented commercial leader with a strong track record of results and deep experience in all three of YUM’s global brands,” said Creed. “He has been an invaluable strategic partner to me during a pivotal time for Yum! Brands, from the 2016 spinoff of the China business to driving the franchise operating, restaurant development and financial strategies that are reshaping KFC, Pizza Hut and Taco Bell into more focused, franchised and efficient businesses. As we enter the last year of our three-year transformation, the Yum! Brands Board of Directors and I are confident David’s expanded leadership will continue to shape the next wave of growth as we strive to build the world’s most loved, trusted and fastest-growing restaurant brands,” Creed added.“I’m grateful for the opportunity to lead Yum! Brands in an expanded capacity, and look forward to partnering with Greg, our global leadership team and our franchisees,” said Gibbs. “The transformation we started in 2016 is already making Yum! Brands a stronger company, franchisor and investment. We’ve achieved our stated goal of 98 percent of our restaurants being owned and operated by franchisees by the end of 2018, and are on track to deliver on our commitments for the transformation. With three category-leading brands, a uniquely diversified global business and more than 48,000 restaurants, YUM is well positioned to accelerate growth and improve franchise unit economics by leveraging our massive scale and expanding our digital technology and delivery capabilities,” Gibbs added. Tropical Smoothie wants to reach 1,500 locations in the next four years. Tropical Smoothie Café tapped a new chief executive officer Thursday, and isn’t being shy about setting goals. The company promoted chief development officer Charles Watson, who spent more than a decade with the brand, to the lead role. Watson’s target: Hit $1 billion in sales and more than 1,500 locations by 2023. Watson has led Tropical Smoothie’s franchise development efforts since 2010 and served as CDO for the past four years. The company said Watson was directly responsible for selling more than 800 franchises. Charles Watson has spent more than 10 years with the company. Tropical Smoothie has more than 720 locations nationwide. So the goal is essentially to double the chain’s footprint in the next four years. The company’s performance has been on the rise in recent years. When former CEO Mike Rotondo, who held the job for five years, left for Edible Arrangements in July, Tropical Smoothie said the top 50 percent of its franchise owners had average gross sales north of $873,254—a 30 percent increase over the last four years. Same-store sales were up 36 percent over the past five, and more than 345 locations had opened in that span. Also, it’s reported average-unit volumes of $681,000 were the highest in the company’s 20-plus years of history. When Rotondo joined Tropical Smoothie as VP of operations in 2008, comps were down about 6 percent and another 2 percent in 2009. AUVs hovered around $400,00. By 2015, same-store sales increased 11.2 percent, year-over-year, and the brand ignited a growth spurt with 199 signed franchise agreements that hasn’t slowed much since. It inked close to 100 in 2017. The year Rotondo was appointed CEO, in 2012, BIP Capital invested in Tropical Smoothie. TORONTO, Jan. 23, 2019 /PRNewswire/ – Restaurant Brands International Inc. (“RBI” or the “Company”) (TSX/NYSE: QSR, TSX:QSP) today announced three leadership promotions that strengthen the Company’s focus on accelerating its global growth. In addition, the Company pre-released comparable sales and net restaurant growth results, demonstrating the continued growth and performance in these key operational metrics. Further, the Company also announced its first Investor Day Conference, which will be held in New York City in May 2019to provide more detail on its plans for long-term growth and value-creation. Daniel Schwartz, who was the Chief Executive Officer of Burger King in 2013 and has been the Chief Executive Officer of RBI since its formation in 2014, has been promoted to Executive Chairman of RBI and Co-Chairman of RBI’s Board of Directors, and will also take a more active role as a Partner at 3G Capital. Daniel will remain deeply involved in the RBI business and will continue to focus on talent acquisition, capital allocation and major strategic initiatives. Daniel, who has served as Chief Financial Officer and Chief Executive Officer over the past 8 years, has been instrumental in the creation of RBI through the acquisitions of Burger King in 2010, Tim Hortons in 2014 and Popeyes Louisiana Kitchen in 2017. Josh Kobza has been promoted to Chief Operating Officer of RBI following seven years as an executive in the business, including as Chief Financial Officer from 2013 through 2017 and as Chief Technology & Development Officer in 2018. As the head of global development, he has set up many of the international franchise partnerships that have supported the Company’s growth in recent years and he was also responsible for leading the acquisitions of Tim Hortons in 2014 and Popeyes Louisiana Kitchen in 2017. In his new role, Josh will continue to oversee the establishment of new international franchise partnerships as well as the implementation of the Company’s technology initiatives, and will now also ensure that RBI’s various operational teams best support the global growth of the Company’s three brands. Over the past three years, the Lucy’s concept has grown to four locations in three countries, including domestic restaurants in Louisiana and Florida and international restaurants in Aruba and Costa Rica. A fifth location is set to open in Foley, Alabama in Summer 2019. The brand has plans to grow to 20 locations by 2024. Lucy’s Retired Surfers Bar & Restaurant got its start in 1985 on Manhattan’s Upper West Side. In 1992, Lucy’s opened in New Orleans’ iconic Warehouse District, quickly becoming a staple of the downtown nightlife scene. The New Orleans-headquartered beach and surf bar concept, fueled by its tropical drinks, zany staff, and fun atmosphere, includes domestic locations in Louisiana and Florida and international locations in Aruba and Costa Rica. Portland, OR (RestaurantNews.com) Shari’s Restaurants starts the New Year with a fresh face, Stan Frankenthaler, who was recently named Executive Chef and Senior Vice President of Supply Chain for the company. Frankenthaler will oversee and implement their new Northwest Fresh menu, as well as all other culinary aspects of their 92 locations. LOUISVILLE, Ky.–(BUSINESS WIRE)–Papa John’s International, Inc., (NASDAQ: PZZA) one of the world’s largest pizza delivery companies, announced today the appointment of Marvin Boakye as its first Chief People Officer. He will serve as a member of the Papa John’s Executive Leadership Team and report to President and CEO Steve Ritchie. 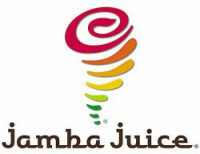 ATLANTA, Jan. 22, 2019 /PRNewswire/ — FOCUS Brands announced today that the executive leadership team for its Jamba Juice brand is now complete with the hiring of Geoff Henry as the company’s President, Shivram Vaideeswaranas Chief Marketing Officer and the promotion of Jaime Denney to VP of Operations. Consistent with FOCUS Brands’ structure, Henry will report to Kat Cole, President and COO, North America, FOCUS Brands. Jamba Juice is a global lifestyle brand that serves freshly blended fruit and vegetable smoothies, bowls, juices, cold-pressed shots, boosts, snacks, and meal replacements. Jamba Juice, through its subsidiaries, is the franchisor and operator of more than 800 locations worldwide. Please visit www.jambajuice.com to learn more. Atlanta-based FOCUS Brands Inc. is a leading developer of global multi-channel foodservice brands. FOCUS, through its affiliate brands, is the franchisor and operator of more than 6,000 restaurants, cafes, ice cream shops and bakeries in the United States, the District of Columbia, Puerto Rico and over 50 foreign countries under the brand names Carvel®, Cinnabon®, Schlotzsky’s®, Moe’s Southwest Grill®, Auntie Anne’s®, McAlister’s Deli® and Jamba Juice®, as well as Seattle’s Best Coffee® on certain military bases and in certain international markets. Please visit www.focusbrands.com to learn more.